We were really happy to see this but we decided that we shouldn’t try to plug these user experience holes with nylon band-aids but take the pain and understand what fundamental re-structuring would be required to provide our creators more value. Welcome Typito Credits. Typito Credits is nothing but a small kitty of dollar (USD) equivalent you have in your Typito account, which you can collect by doing certain actions like referrals and use to pay for videos on Typito. It’s like a currency, just that you can never use it outside Typito. 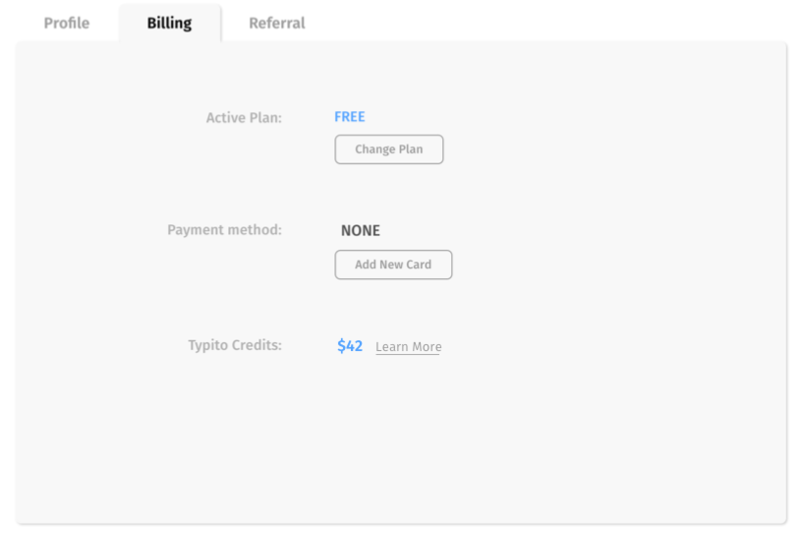 You can keep track of your Typito Credits by going to the billing section in your Accounts page. 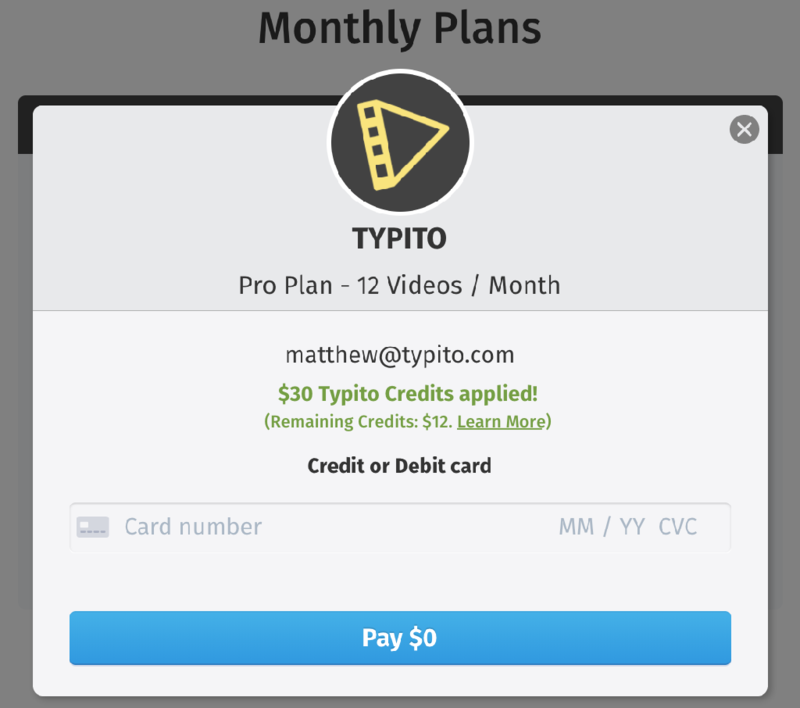 You can remove Typito branding on videos by buying monthly plans or paying per video using the credits. Hassle-free and in just a few clicks. Here’s how you can buy a $30 Pro plan using the $42 Typito Credits you have and keep the remaining $12 for future redemption. We plan to come up with an array of actions, those when completed by our users, would reward them more credits. To address the issue with the 7 day free trial, we also plan to replace it with $10 Typito Credits which the users can use at their disposal. Going forward, we will also be building an affiliate referral plan that would be built on top of Typito Credits. As you can imagine, the possibilities are endless when it comes to creating avenues for rewarding Typito Credits to our users :). Typito Credits would be released tomorrow. It is also to be noted that with the advent of Typito Credits, we’d be shelving time-bound unlimited video offers that was released in the name of Typito Offers.